Is there a better alternative to Pixie Pond? Is Pixie Pond really the best app in Puzzle category? Will Pixie Pond work good on macOS 10.13.4? 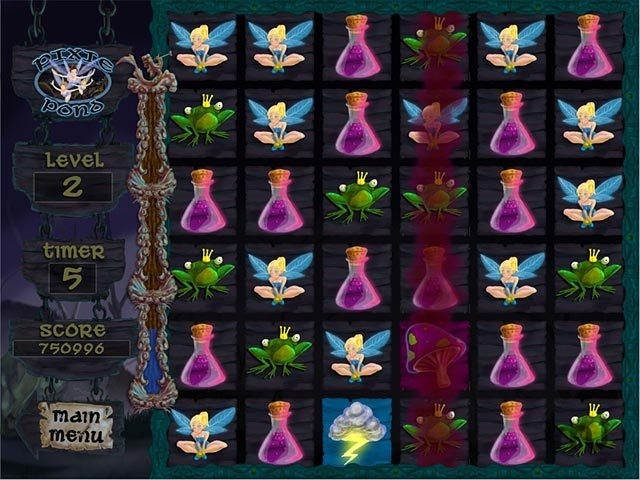 Pixie Pond…Enter the magical world of Pixie Pond as you race against time to match as many magical objects as you can. Once the clock runs out, watch as your matches turn into huge combos with huge scores. Featuring tons of levels of insane combos with magical objects for even more mayhem, Pixie Pond is an entrancing experience that will keep you glued to your seat for hours. Enter a magical Pixie Pond! Pixie Pond needs a review. Be the first to review this app and get the discussion started! Pixie Pond needs a rating. Be the first to rate this app and get the discussion started!